These scart leads are very high quality. 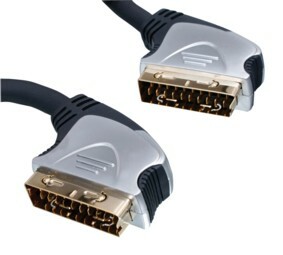 21 pin connected scart cable with 24k gold-plated plugs and double screened OFC (oxygen free copper) cable for excellent sound and picture quality. Especially suitable to connect Plasma, LCD, 100 Hz and widescreen TV sets. Excellent quality for longer cable runs.